According to OneJerusalem.com sources, one Sandor Kepiro, former Hungarian war crimes suspect, wanted for his connection to the massacre of as many as 2,000 Serbs and Jews during World War two has died of natural causes. 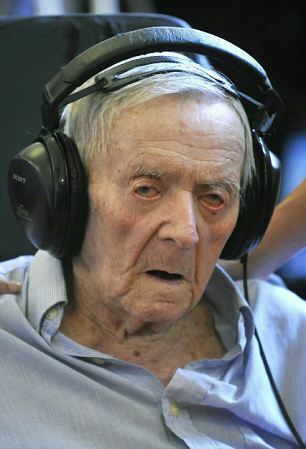 He died in Budapest on Saturday at the age of 97. Kepiro was once the numeral uno most wanted man on the most wanted list at the Simon Wiesenthal Center, the Los Angeles-based organization of Nazi hunters. The center and Hungarian prosecutors said that Kepiro was a member of Hungary’s pro-Nazi police during World War Two; he was what is known as a gendarmerie. He was accused of participating in the January 1942 massacre and allegedly assisted in the dumping of the bodies into the icy Danube River. Kepiro was specifically accused of the murder of thirty people. The Simon Wiesenthal Center’s top Nazi hunter found Sandor Kepiro living in Budapest in 2006 and he alerted the Hungarian authorities. He had returned to Hungary in 1996 after spending the post-war years in Argentina. However, Hungarian court dismissed Kepiro in July of this year, on grounds of a lack of evidence. Many of those in attendance at the court session cheered and clapped when Judge Bela Varga read out the verdict of the three-member tribunal. However, the ruling by the Hungarian court ignited demonstrations in Budapest and Novi Sad, the town where the massacre took place. In January 1944, Kepiro and several other officers were convicted of disloyalty by a military court for their role in the Novi Sad raids. The 10-year prison sentence, originally applied to the deceased Hungarian, of which he served a few weeks in January 1944, was later annulled and his rank reinstated. Prior to reading out the verdict, Mr. Varga said that Kepiro was brought to the tribunal by ambulance and had spent the past week in a hospital after being given the wrong medication. Prior to the Kepiro’s trial, the last man to be accused of Nazi-era war crimes was John Demjanjuk, a retired autoworker from Ohio. He was convicted in May of 2011 of 28,060 counts of accessory to murder by a court in Munich. This week Demjanjuk became the subject of a new investigation, accusing him of guarding not only the Sobibor death camp, for which he has already been convicted, but also the Flossenbuerg concentration camp. This case was the first ever instance of someone being convicted on evidence of being a guard alone, sans evidence of any specific killing. Attorney Cornelius Nestler said that his goal in filing the new complaint was to expand the precedent to apply to concentration camp guards and death camp guards alike.